UKRAINE: PAST, PRESENT – FUTURE? Hear two sides of the fierce debate over the culture boycott of Israel from an Israeli professor and a Palestinian politician. 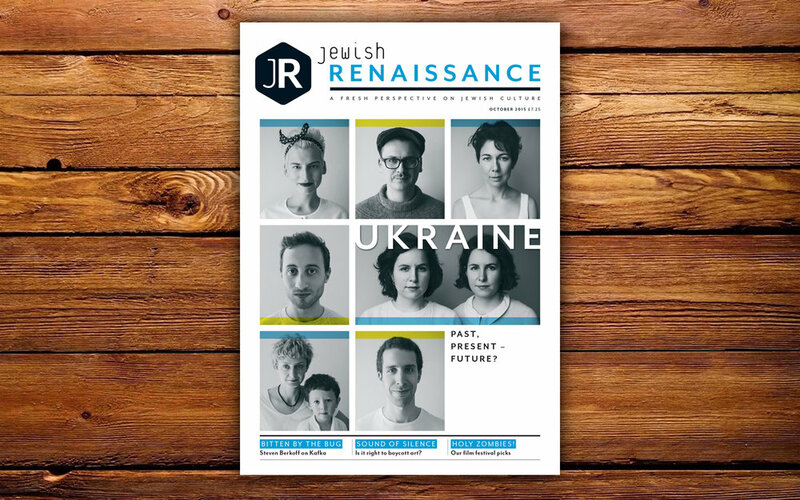 Plus, also in this issue, learn about the Jewish history of Ukraine and meet members of today’s community; and read Jason Solomons on Woody Allen, Steve Berkoff on Kafka and David Herman on Timothy Snyder’s brilliant analysis of war-torn east Europe. A bug's life Steven Berkoff tells Judi Herman about the Jewish heart at the centre of Kafka’s famous story. Future sounds Whatever happened to the winners of the Millennium Music Awards? Food of love How did a community blog become a cookery best-seller?